George Clooney was briefly hospitalized Tuesday after he was hit by a car while riding his scooter on the Italian island of Sardinia. [post_ads]Clooney was riding the scooter near Olbia when a car cut across the actor's path at an intersection, resulting in a collision, Lt. Alberto Cicognani of the Carabinieri Italian military force said to NBC News. 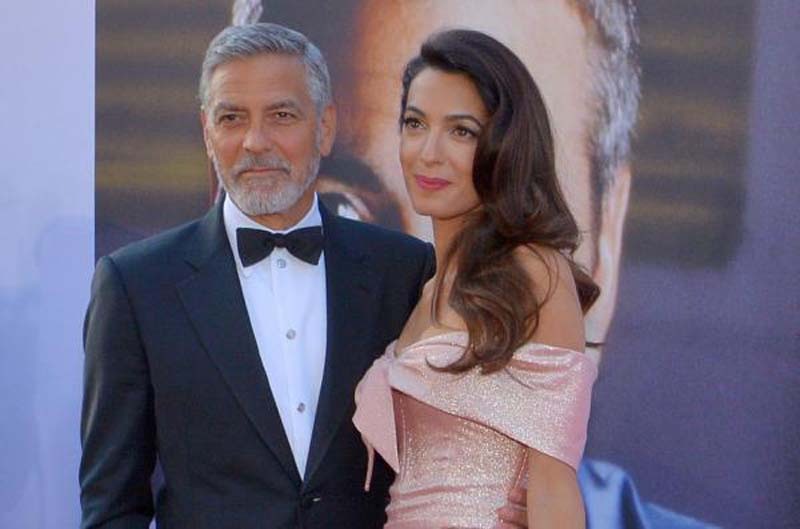 Clooney, 57, was then taken to John Paul II hospital after stating he experienced trauma to the pelvis and bruises to one leg and an arm, La Nuova reported. Clooney underwent an MRI but was quickly discharged as he experienced no serious inuries. Clooney was seen leaving the hospital with his wife Amal Clooney in a private car. The star is in Sardinia to film upcoming Hulu limited series Catch-22, an adaptation of the classic Joseph Heller novel of the same name.